Kids love science. Kids love slime. 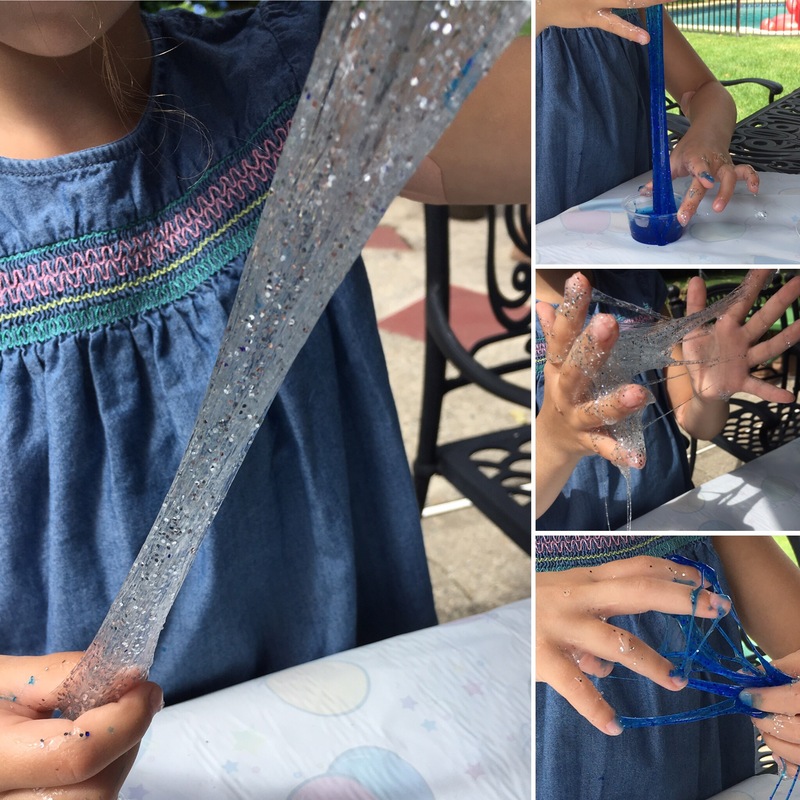 Summer is a great time to make glitter slime since you can make this project outside in the nice weather. I recommend making glitter slime outside since glitter can be messy. In this project the sodium borate in the liquid starch mixes with the polyvinyl-acetate (PVA) glue and forms this awesome stretchy substance. For a slightly less messy science project be sure to try our silly putty and goop recipes as well this summer. 1. Protect your work surface. We recommend making this slime outdoors. 2. Add 1/2 cup of glue to a disposable bowl. 3. Add 1/2 cup of water and mix. 4. Add glitter. You can also add food coloring. Stir well. 5. Add 1/2 cup of liquid starch to the glue and glitter mixture. Mix well. Then knead the slime.